Hilary is a Vice President in the Aerospace and Defense group, bringing 10+ years of experience spanning Investment Banking and Equity Research. Prior to Capstone Headwaters, Hilary worked as a Vice President on the #1 rated Textile Manufacturing team at Lehman Brothers. 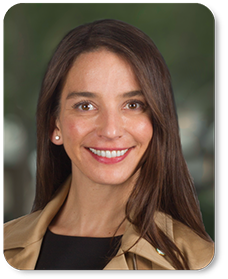 She has significant public company expertise with a focus on Industrials and Manufacturing M&A and carve-outs. She has also worked on numerous strategic advisory and company valuation assignments.